The scotch whisky pours a medium, ruddy gold in the glass and has a nose that can be picked up from a foot away. The chief aromas are smoke, petrol, sea spray, salt, and something a bit like burning rubber. It starts more mellow than may be expected with a dark, fruity note that recalls stone fruit, plums, and red wine. But lest you get your categories confused, smoke and salt soon activate while the center of the palate moves to a rich note of salted dark chocolate followed by cinnamon. From there, the savory quality only increases, until the flavors take on a grilled meat quality that will have you wondering whether you’ve just bit into a piece of sliced, salted ham. All the while, it stays dry in the mouth, with a little heat, though less than you’d expect from a 92-proof whisky. 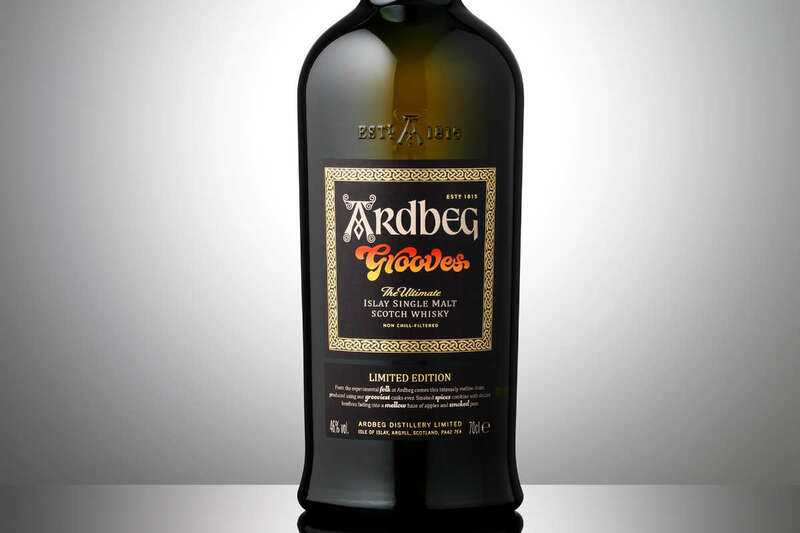 The finish of Ardbeg Grooves retains all the smoke and salt from the center, but that carnivorous note gives way to a tempered spice that settles in for a long, dry finish—it buzzes on the tongue for minutes afterward without a spike in heat. It’s a consistent, measured, and enjoyable end to a wild ride of a whisky that seems to take on new flavors and dimensions with each flick of the tongue.